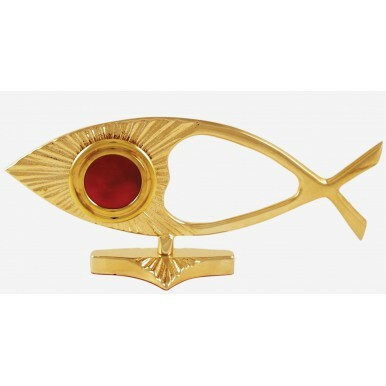 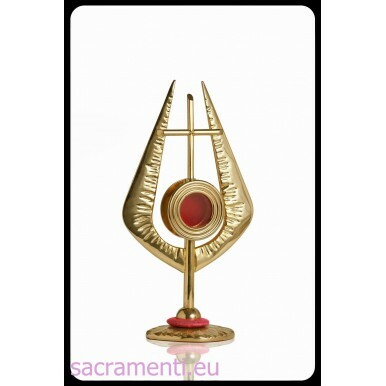 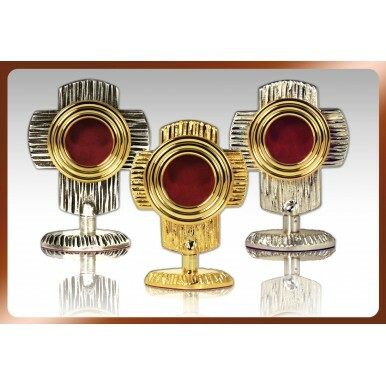 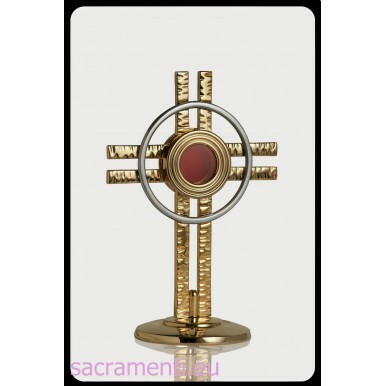 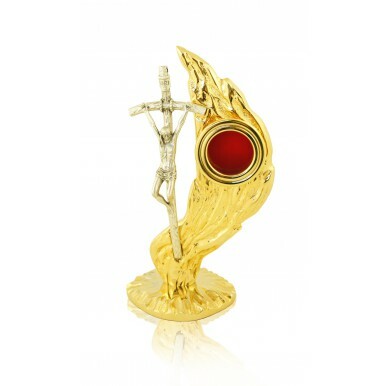 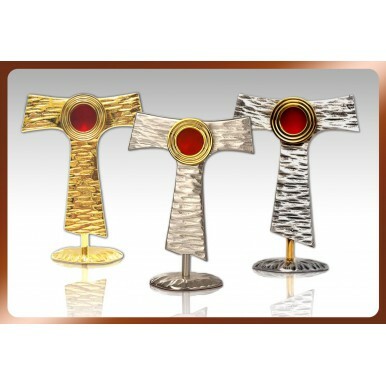 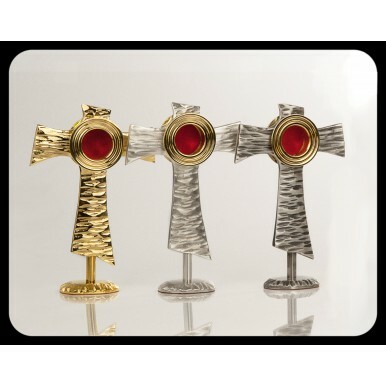 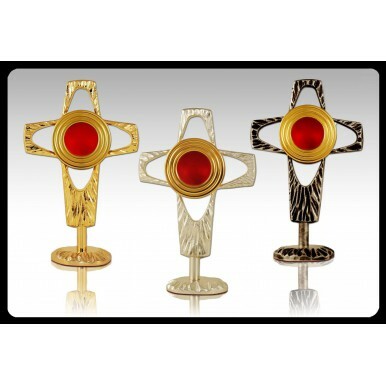 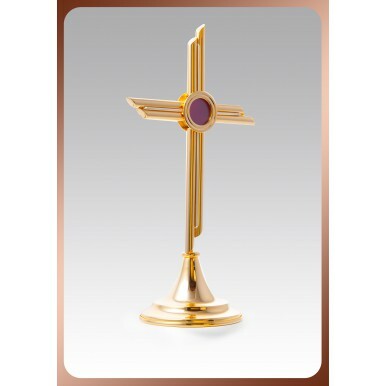 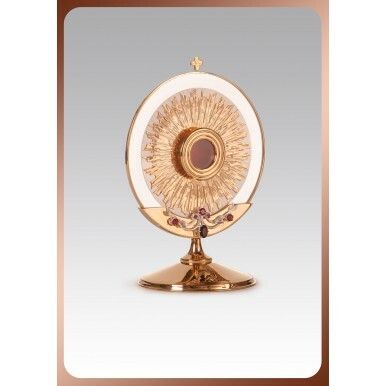 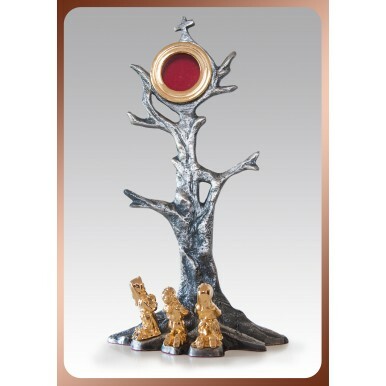 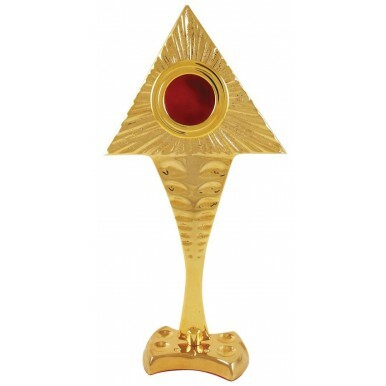 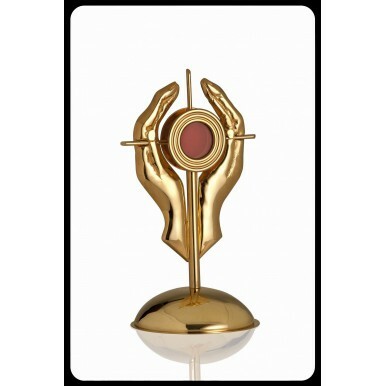 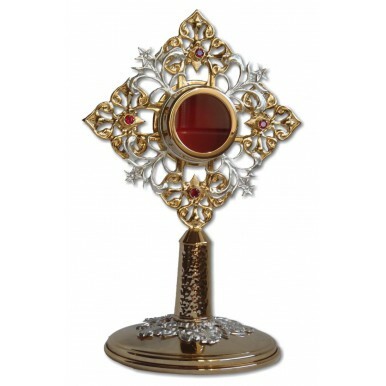 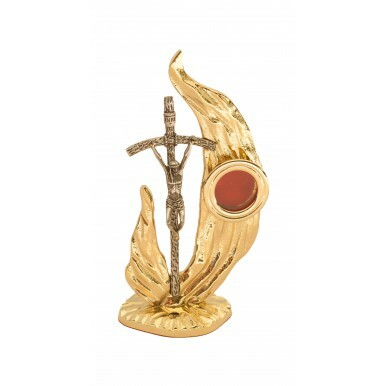 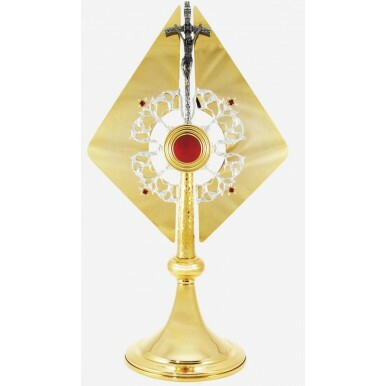 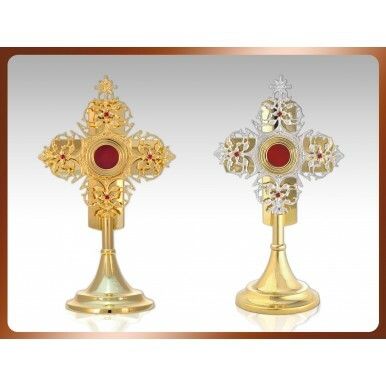 Reliquaries Sacramenti offered by the eye-catching dish religious, made with high precision and care. 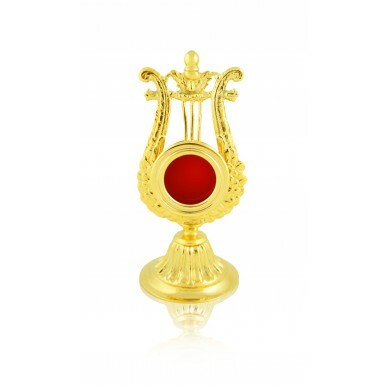 We have a reliquary of silver-plated, gold-plated, or brass patina. 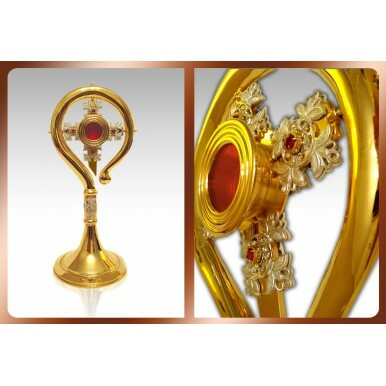 Depending on demand selling various models of these vessels, of various shapes, sizes and of different symbolism. 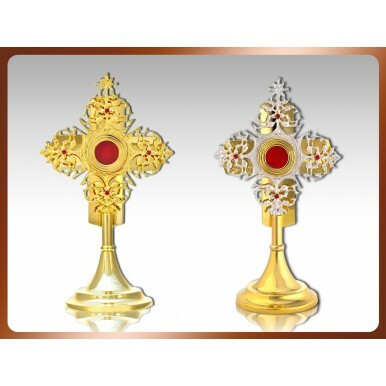 However, each of which is designed according to current standards of the church. 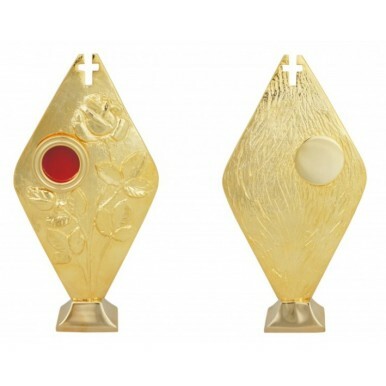 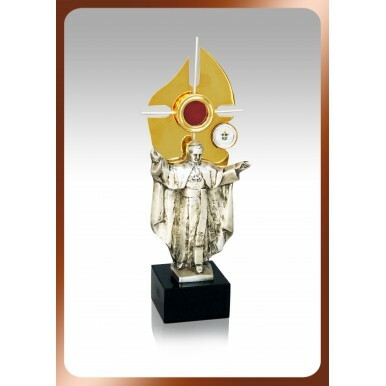 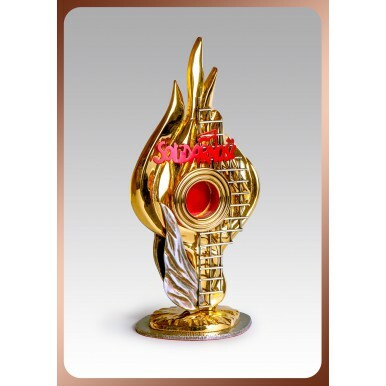 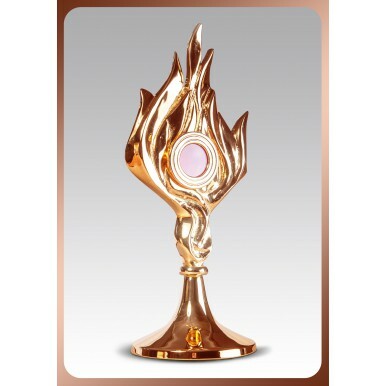 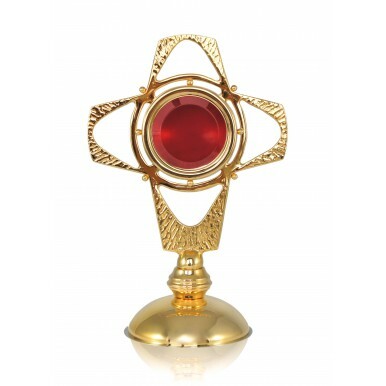 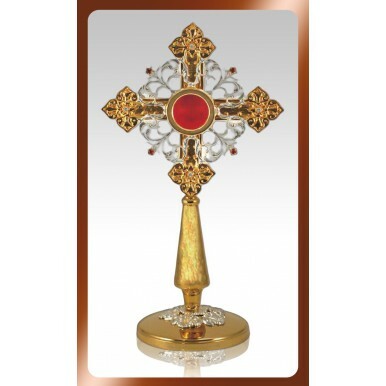 Reliquaries that you offer are attractive appearance and are made of high quality materials, so you do not require frequent maintenance, are durable and reliable. 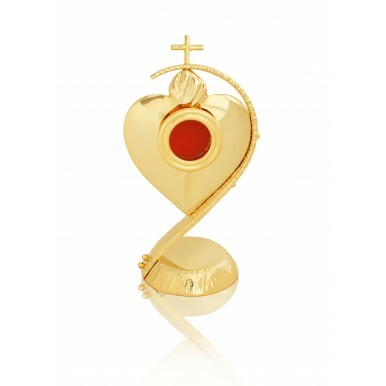 Some models are equipped with a synthetic ruby, which also beautifies and gives a unique look. 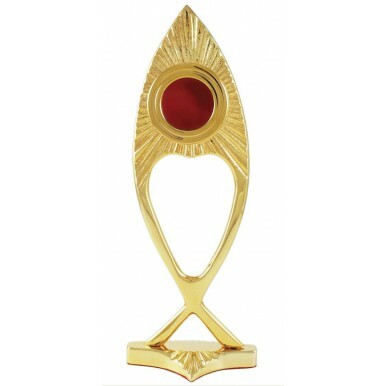 Reliqary, brass. 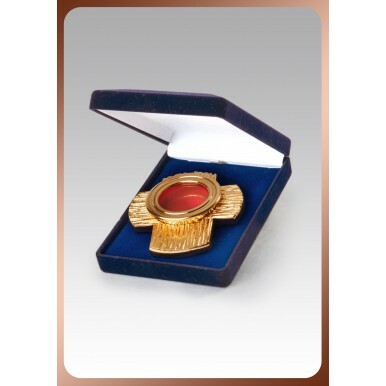 Gold - plated.